The Sims 4 Spooky Stuff Pack has been released back in late September 2015, mostly to celebrate the upcoming Halloween and try to boost some sales. However, as the Halloween season was fading out so were the sales of this pack. The pack only served a purpose to give you a very small taste of Seasons, only leaving you to want more. 3 years later, 2 Halloweens after and several discounts on this pack have finally led to a moment where The Sims 4 Spooky Stuff Pack is finally useful thanks to the release of The Sims 4 Seasons Expansion Pack. 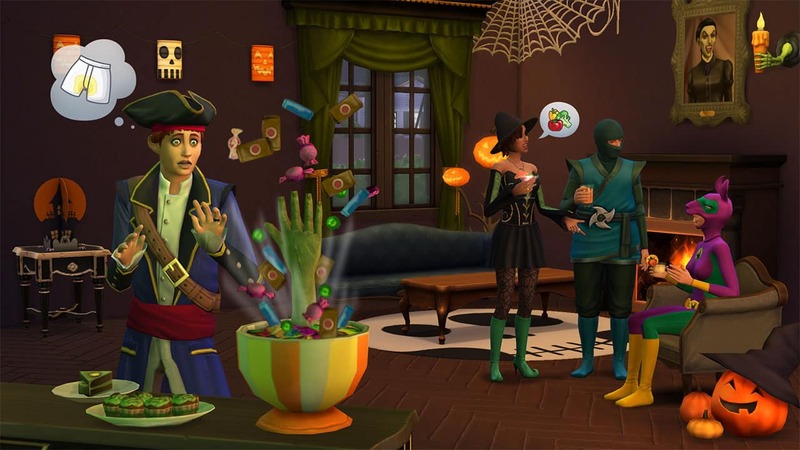 With the ability to play with pre-existing and create custom holidays The Sims 4 Seasons offers a decent Halloween experience to the game with traditions such as Trick or Treating, Spooky Spirit, Wear Costumes and more. These traditions allow you to create your own Halloween story which only can be improved upon with Spooky Stuff. The Trick or Treating tradition gets a slight improvement if you have Spooky Stuff installed. Sims who come by your house to trick or treat are able to go inside your home, take candy from the Candy Bowl that came with Spooky Stuff and walk away. You can, of course, also place the Candy Bowl outside if you don’t want your privacy to be violated. There’s still an option to Trick or Treat the trick-or-treaters that come by your home but the Candy Bowl just makes things a little bit easier. The Pumpking Carving Station that comes with Spooky Stuff will also be very useful for the Halloween Holiday that you create. 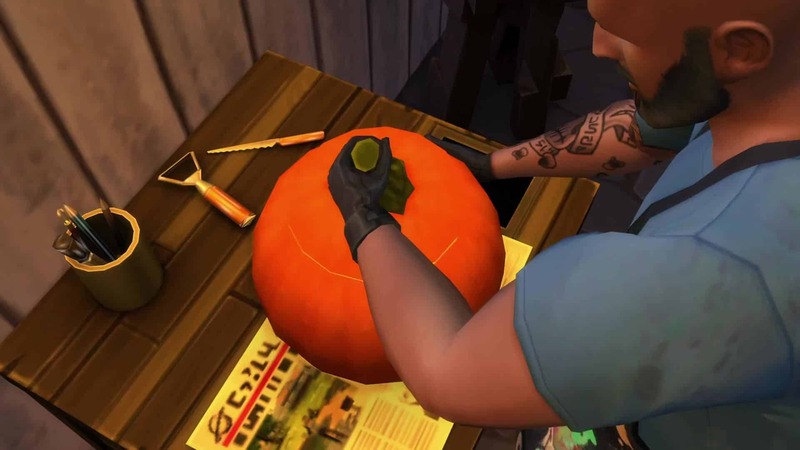 Not just because you’ll be able to carve pumpkins that’ll decorate your home but also because interactions on the Carving Station are supported by the Spooky Spirit tradition which’ll help you complete it. However, everything you do during the Halloween Holiday that you’ve created is not really worth it if there are no Sims to witness it. Throwing a Spooky Party that comes with the Spooky Stuff Pack will get a lot more interesting with Seasons. 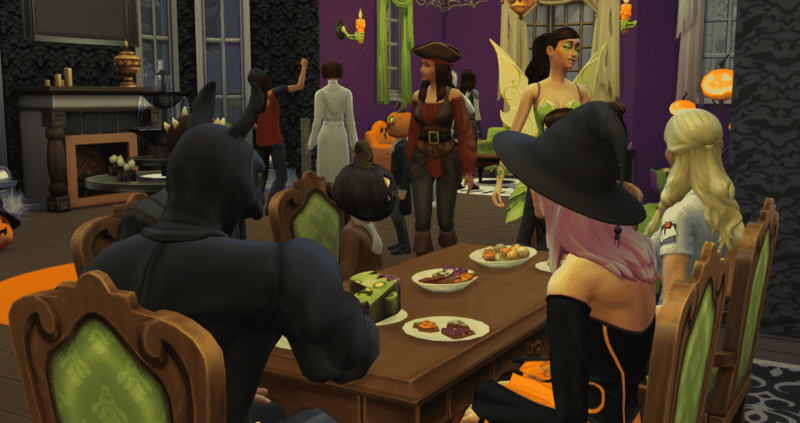 Sims that you invite for the party will arrive in costumes provided with Spooky Stuff rather than some of the base game preset costumes that we get with the “Wear Costume…” Seasons interaction. More Sims on your lot also means that there’s a faster opportunity for you to complete all of the traditions during the party. The Sims 4 Spooky Stuff is still priced at 10USD. However, if you still don’t have Seasons, Spooky Stuff and a certain Game Pack from your collection you’re able to build your own custom bundle on Origin, giving you a huge discount on the total value! I really wish when we choose wear costumes we got the options from this pack too. I never even thought about throwing a spooky party!